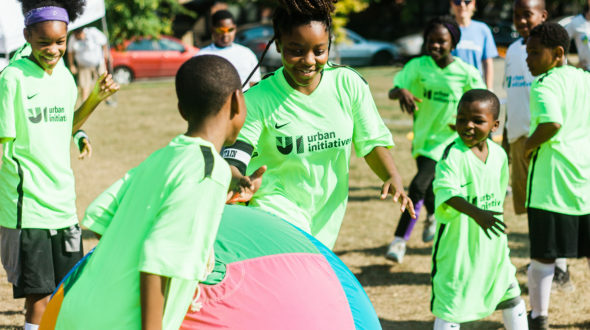 During the 2017/2018 school year, Urban Initiatives made a commitment to prioritize our efforts to foster unity, as well as diversity, equity, and inclusion (DEI). We believe these values are critical to our mission. Developing a plan and actions to be proactively an anti-oppressive and anti-racist institution is foundational in our work. Developed a Unity Statement and a DEI Statement along with accompanying trainings for key stakeholders to hold ourselves accountable to these values. Added Unity as our sixth core value – We believe a diverse team makes us stronger, and that prioritizing Diversity, Equity, and Inclusion is essential to breaking down barriers, creating more equitable distribution of opportunities, and combating racism and oppression. Executive Director, Jim Dower shared that he is incredibly proud of how far the team has come in bringing DEI to the forefront of our work this year, but also acknowledged that we have a long way to go. “An ongoing investment and commitment to this challenging work is key to our success. UI is committed to contributing the time, talent, and treasure necessary to continually improve our DEI efforts across all functions of our work. It’s been inspiring to watch our team come together to make this work a priority. Link here for our full Unity and DEI Statements. Previous Article: How the World Cup is our non-profit’s best advocate.